Traditional fishermen shack in the fishing village Nusfjord, Lofoten in Norway. 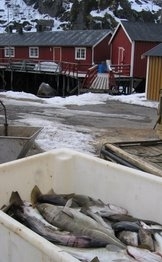 Newly landed cod in the box in front. Maria Fossheim, Einar M. Nilssen and Michaela Aschan, (2006). 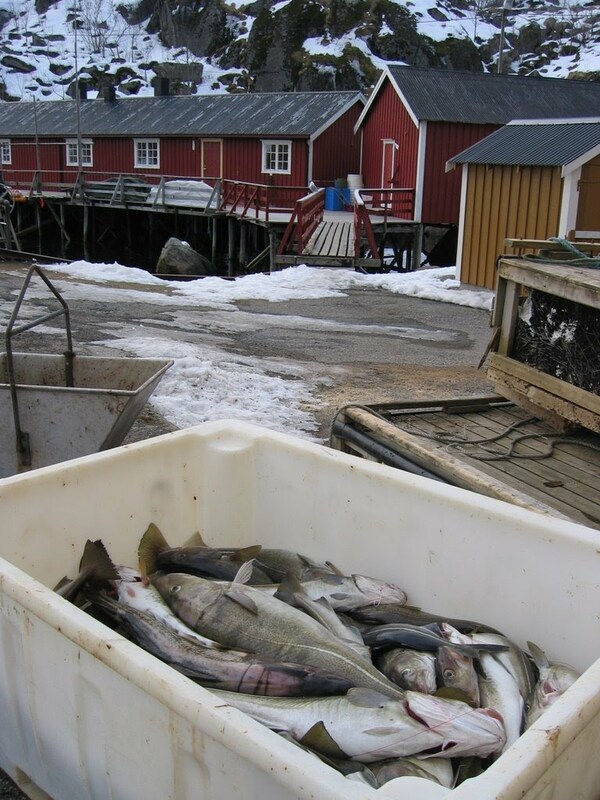 Fish assemblages in the Barents Sea. Marine Biology Research vol. 2, no4, pp. 260-269. Miguel Gonzales, Svein Jentoft, Arja Koskinen, and Diala Lopez (eds.) (2006). Struggling for Land and Culture. URACCAN, Managua, Nicaragua. Eduardo Grimaldo, (2006). The effects of grid angle on a modified Nordmøre-grid in the Nordic Shrimp Fishery. Fisheries research vol. 77, no1, pp. 53-59. Svein Jentoft, (2006). Co-management - no magic bullet. Samudra, Vol. 44:36-39. Bjørn Hersoug, (2006). Opening the tragedy?. Samudra Vol.45:3-7. Svein Jentoft, (2006). Small-scale Fisheries, as seen from the North. Maritime Studies (MAST) Vol.4(2):23-27. Peter Th. Ørebech and Fred. Bosselman, (2006). The Role of Customary Law in Sustainable Development. Cambridge University Press. ISBN 0521859255. 506 pages. Siv Reithe, (2006). Marine Reserves as a Measure to Control Bycatch Problems – The Importance of Multispecies Interactions. Natural Resource Modeling, Vol.19(2):221-242. Thijs Christiaan Van Son and Martin Thiel, (2006). Multiple predator effects in an intertidal food web. Journal of Animal Ecology Vol.75(1):25-32.